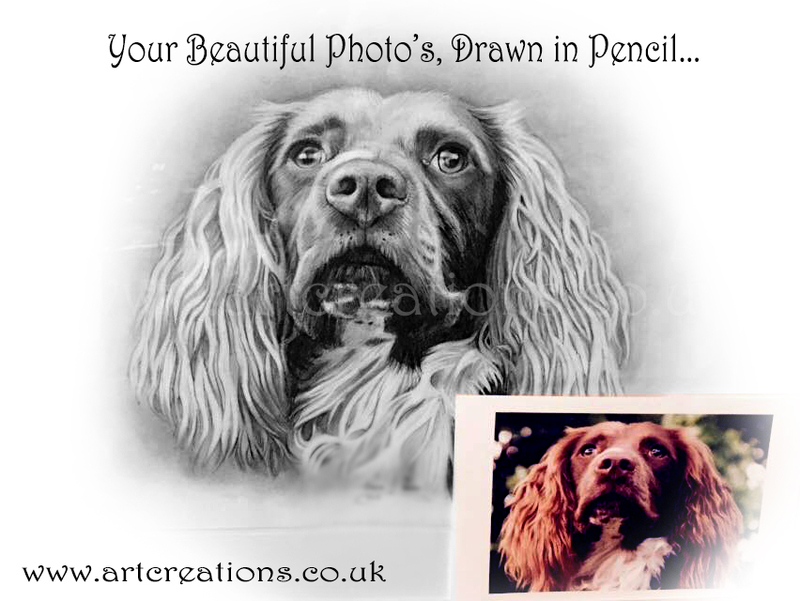 LOTS of EXAMPLES.. SCROLL right to the bottom to see them all! 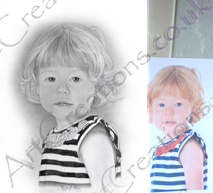 The subject range for Portrait Commissions is endless! 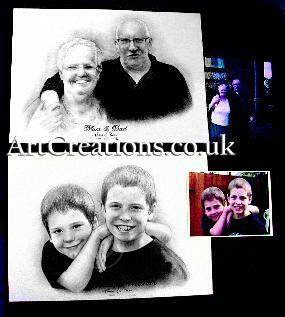 (..perfect gifts for Grandparents!) 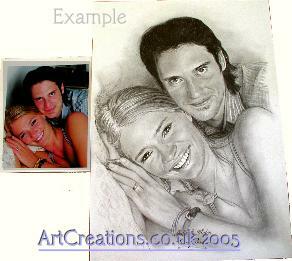 & Couples too.. 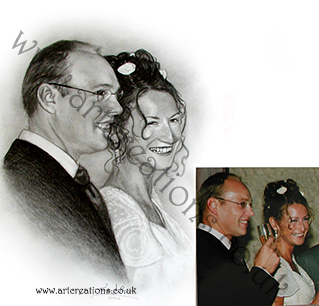 Wedding pictures, Engagement surprises & Anniversarys. 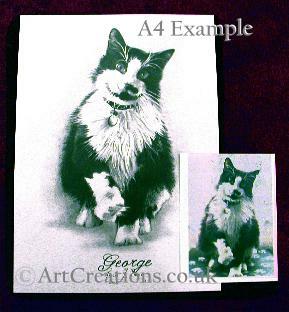 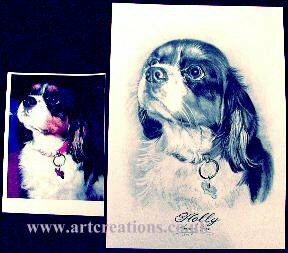 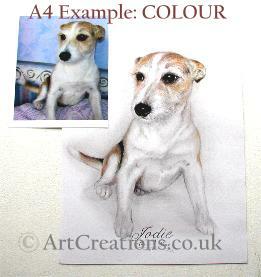 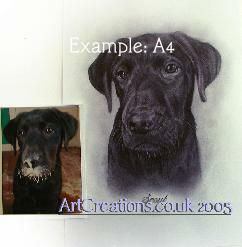 SMALLEST PORTRAIT- 6.5" x 8"
Cost Unframed = £30 One Subject* Drawn in Pencil. 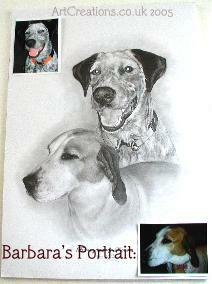 (*People & Pets. 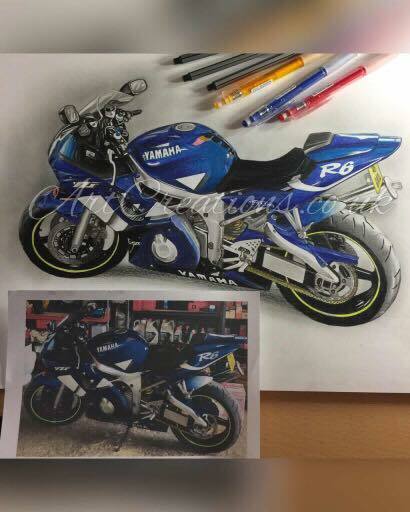 Recommended maximum 2 Subjects). 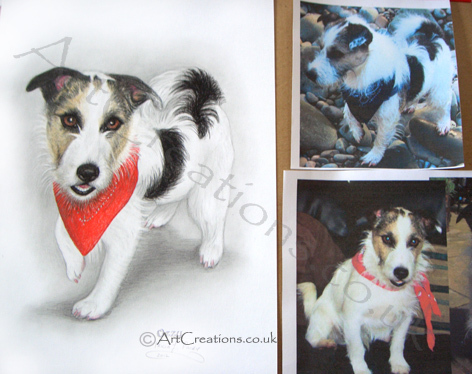 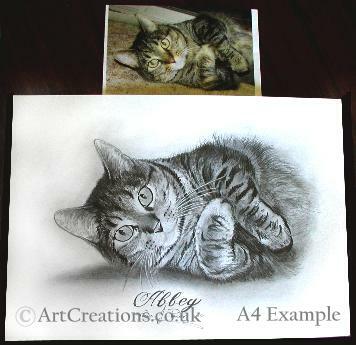 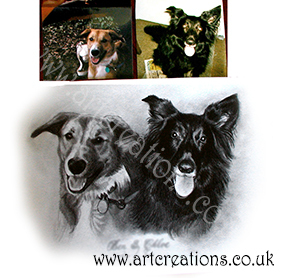 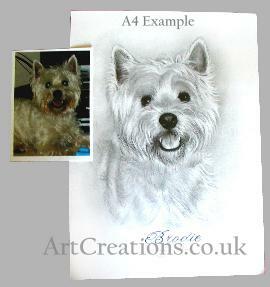 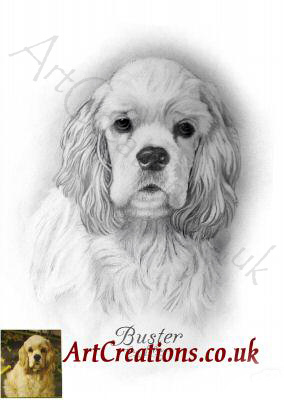 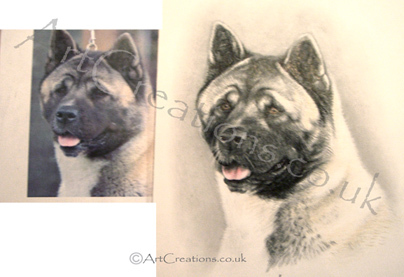 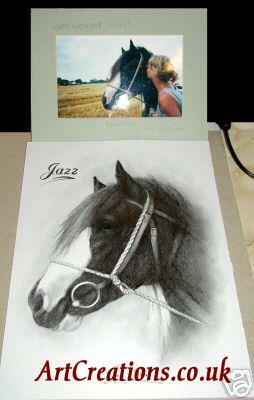 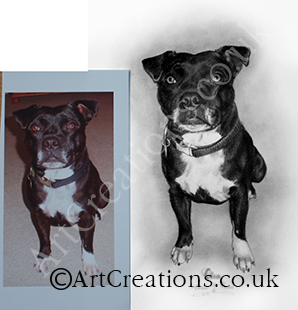 A4 SIZE PENCIL PORTRAIT - 11.5" x 8"
Cost Unframed = £50 One Subject Pencil Drawn. 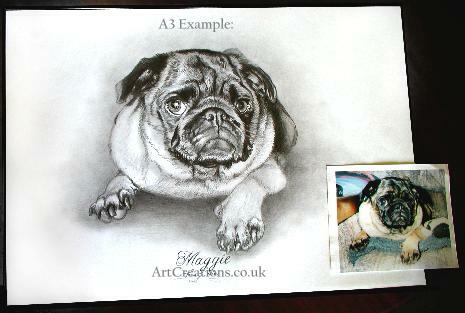 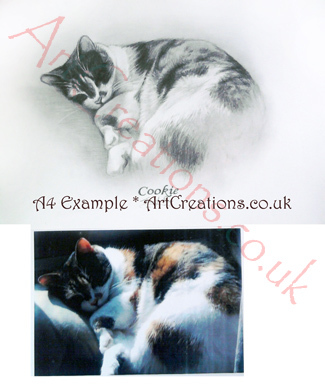 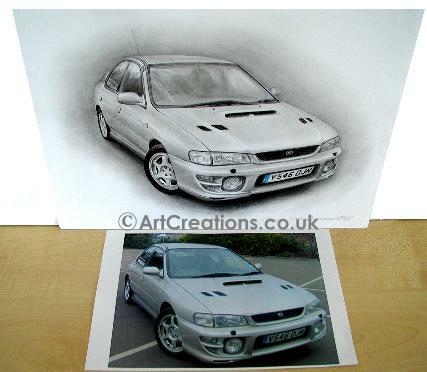 * Add £25 for each Additional Pencil Subject you would like in the Same Drawing (Recommended maximum 3 Subjects). 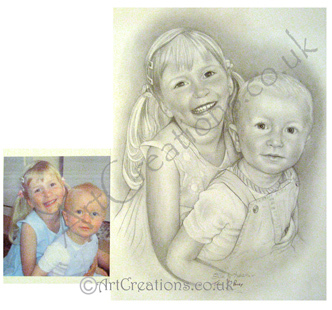 A3 SIZE PENCIL PORTRAIT -16.5" x 11.5"
This is the Standard/Medium size available and is the 'A3' size Portrait. 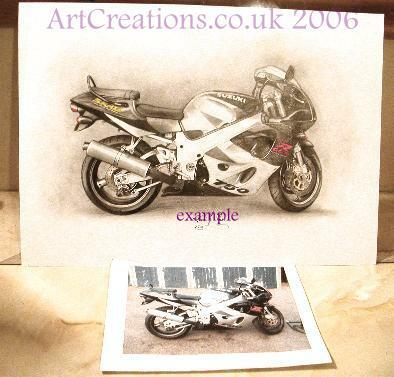 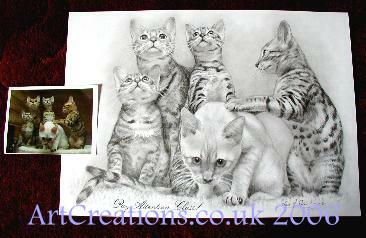 Cost Unframed = £70 One Subject Pencil Drawn. 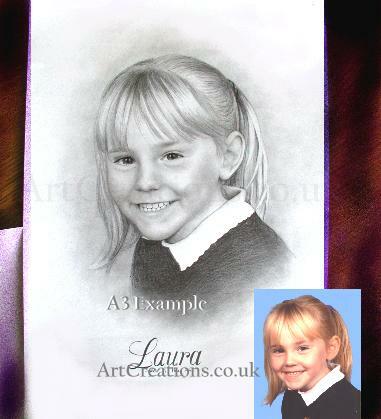 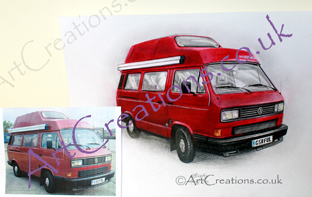 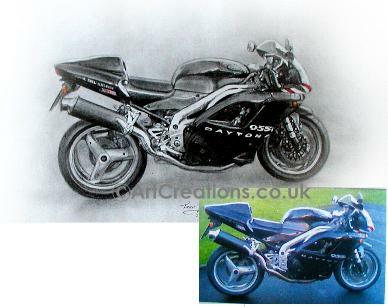 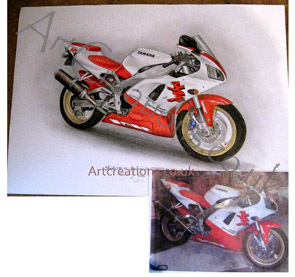 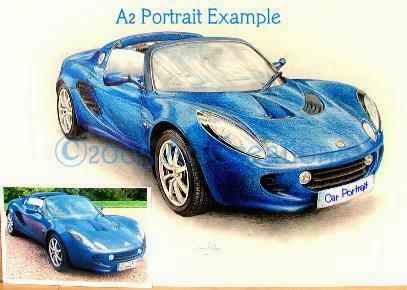 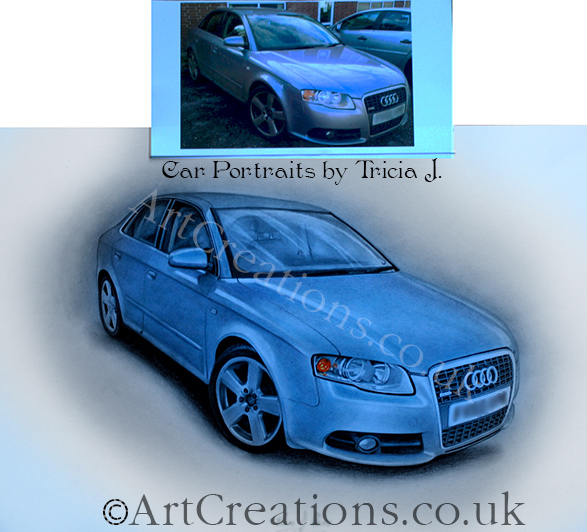 *Add £35 for each Additional Pencil Subject you would like in the Same Drawing (Recommended maximum 5 Subjects). 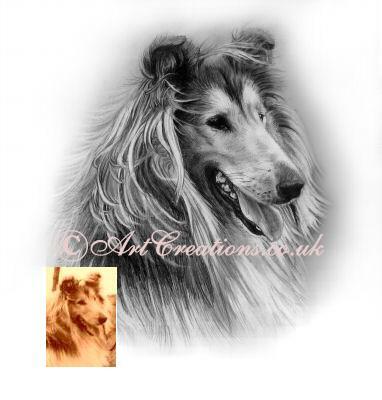 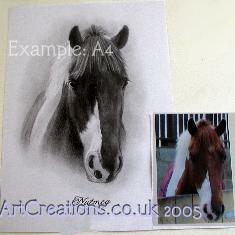 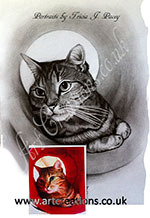 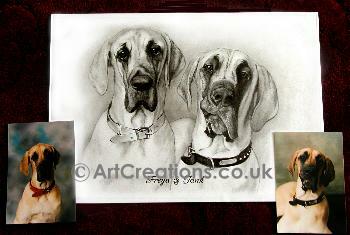 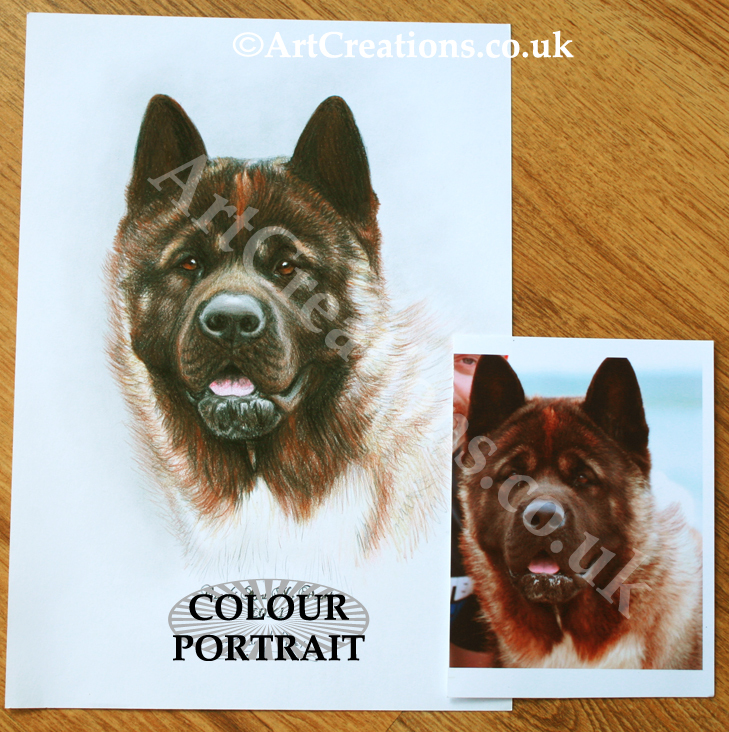 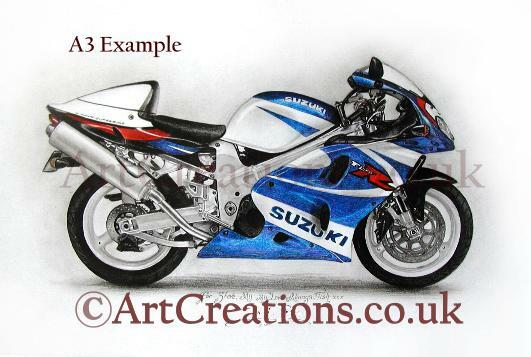 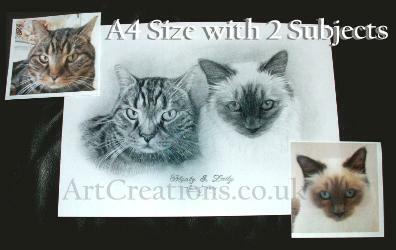 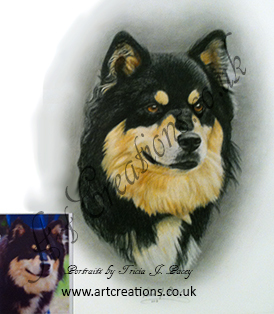 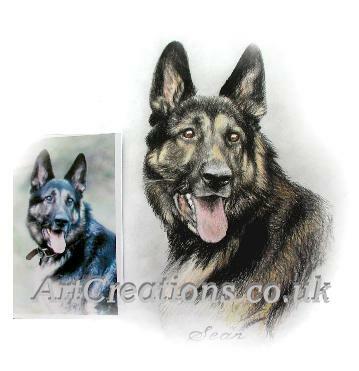 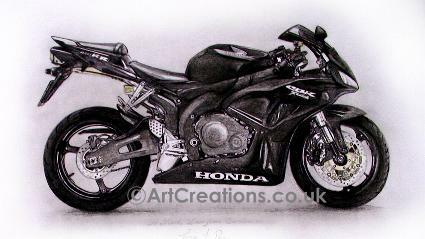 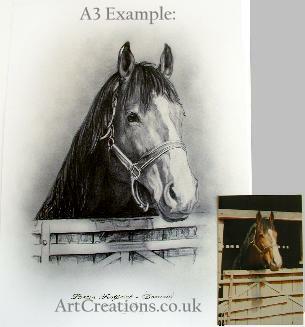 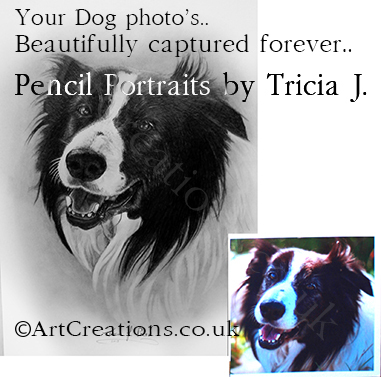 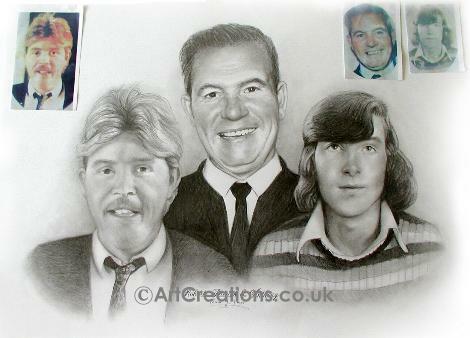 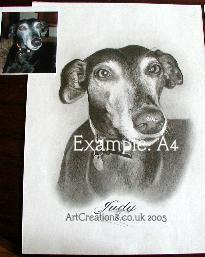 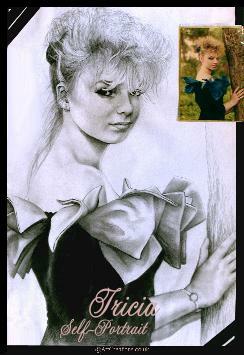 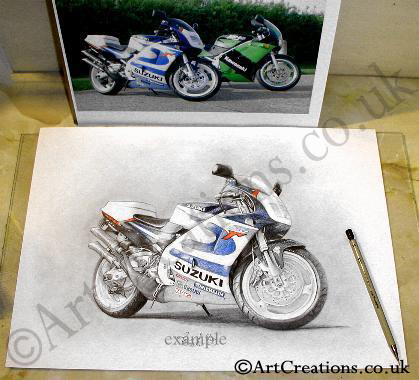 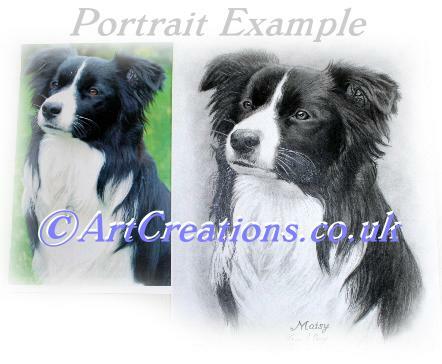 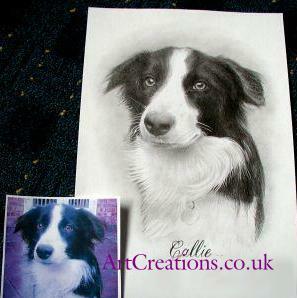 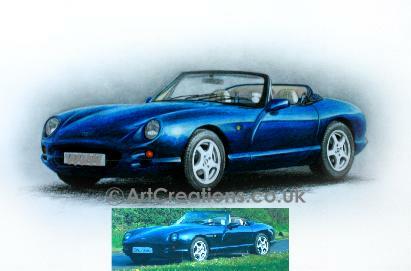 A2 SIZE PENCIL PORTRAIT - 23" x 16.5"
This is the Large size available and is the 'A2' size Portrait. 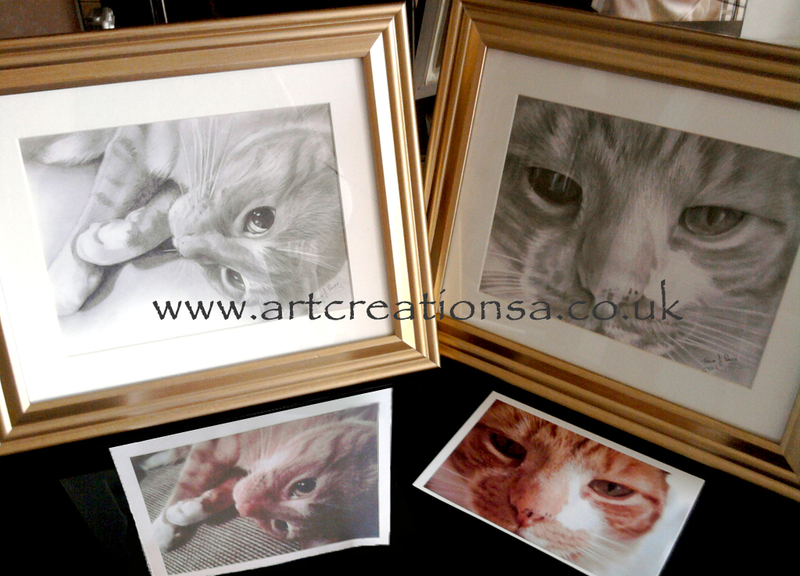 Cost Unframed = £100 One Subject Pencil Drawn. 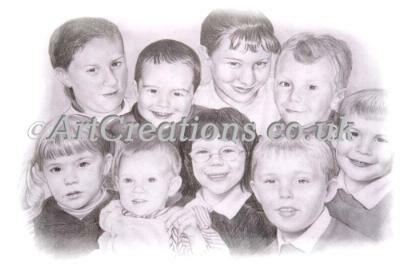 *Add £50 for each additional pencil subject you would like in the Same Drawing. 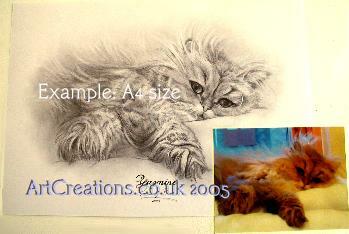 (A Great Size for Any number of Subjects, 1-12). 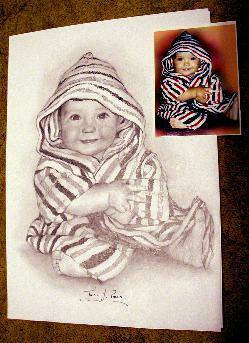 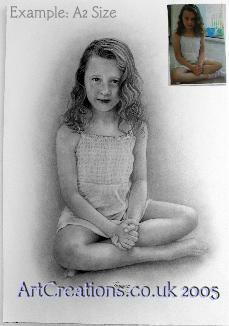 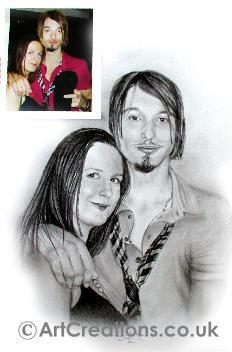 LARGEST: A1 SIZE PENCIL PORTRAIT - Approx 23" x 33"
This is the Largest size available and is the 'A1' size Portrait. 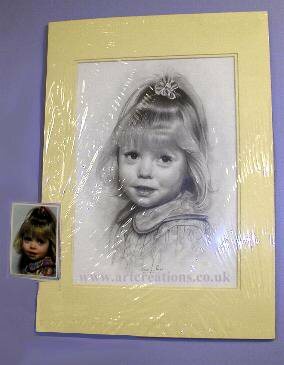 Cost Unframed = £165 One Subject Pencil Drawn. 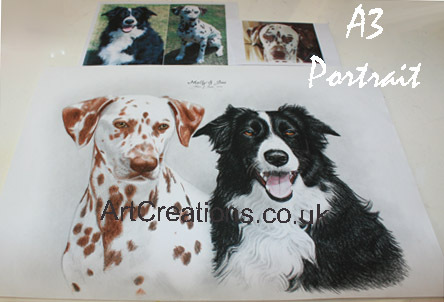 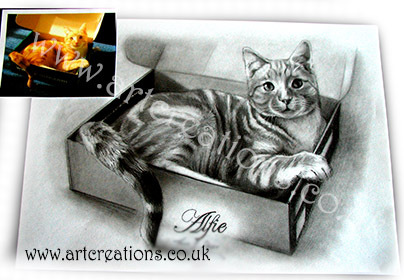 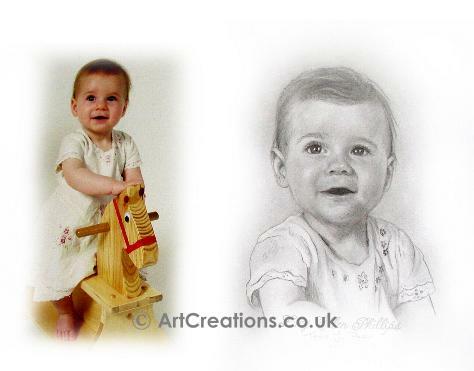 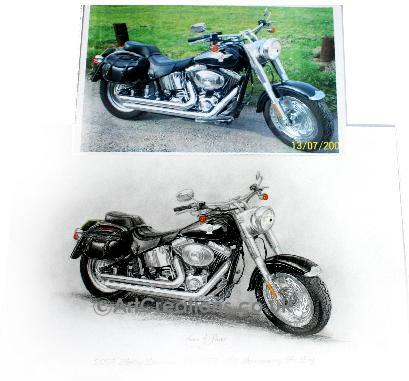 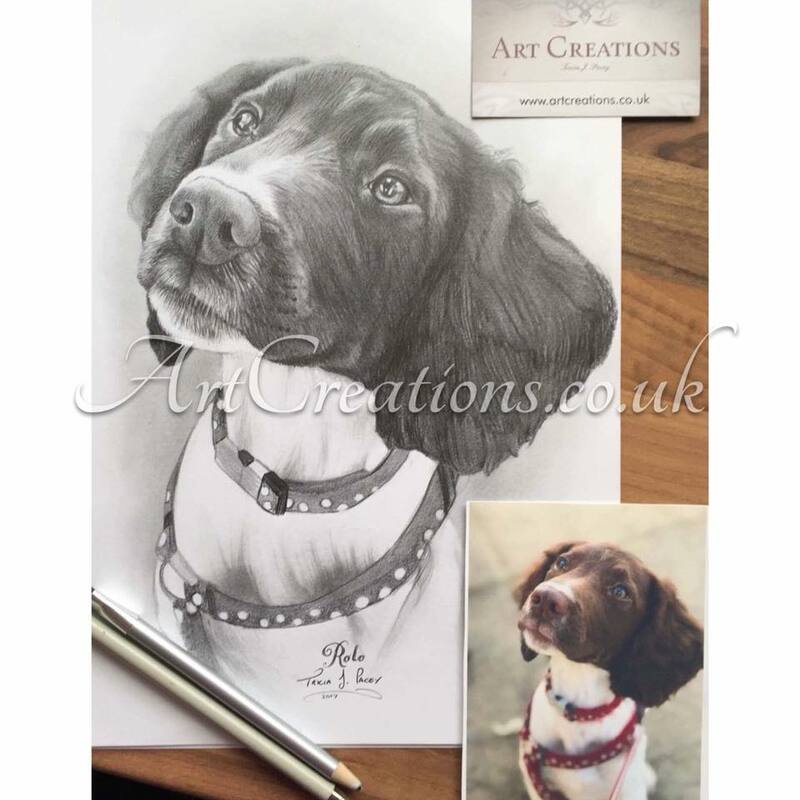 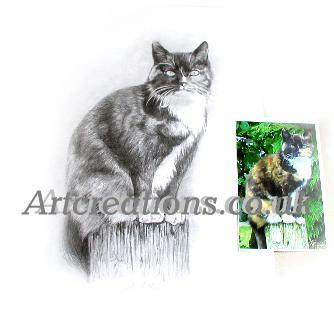 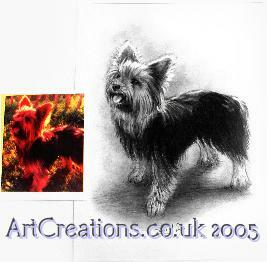 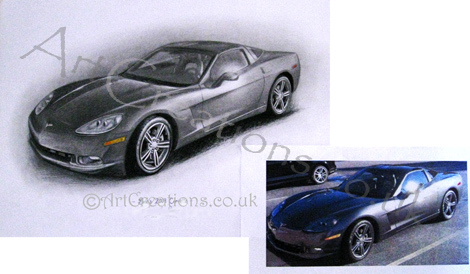 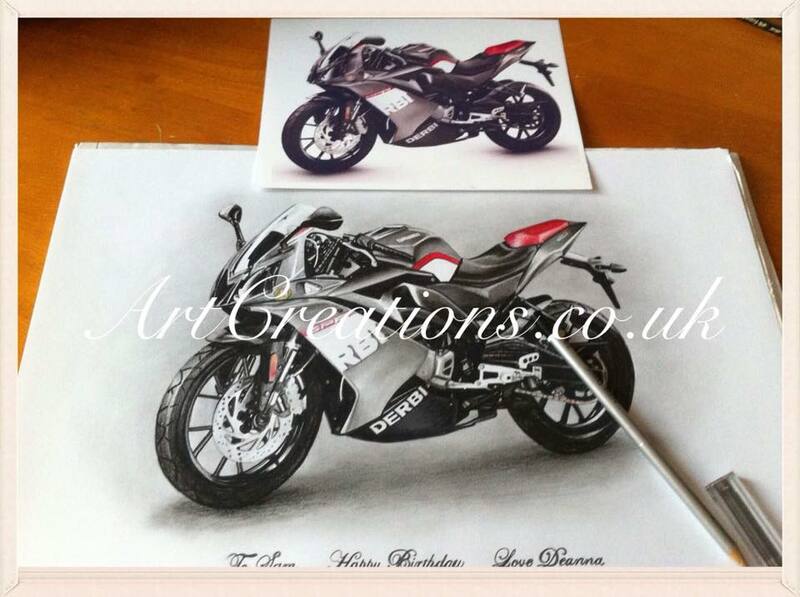 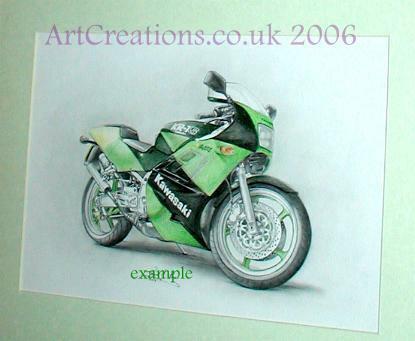 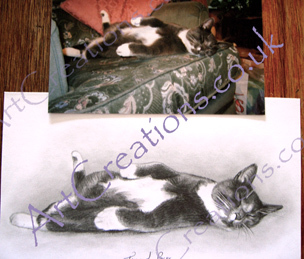 *Add £80 for each additional pencil subject you would like in the Same Drawing. 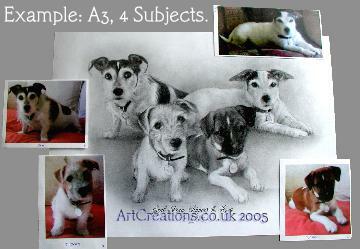 (A Great Size for Any number of Subjects, 1-30). 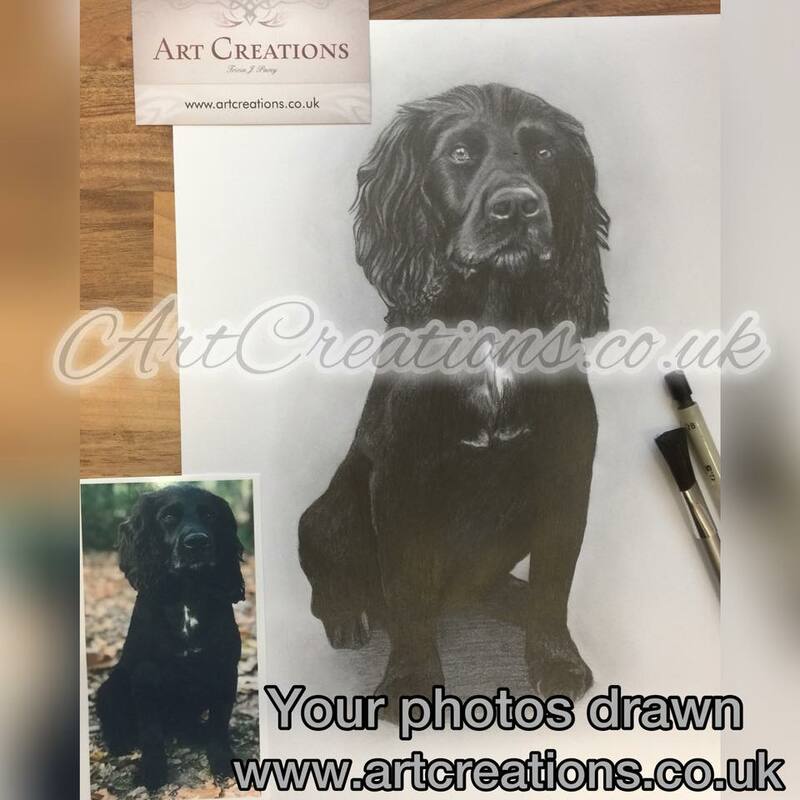 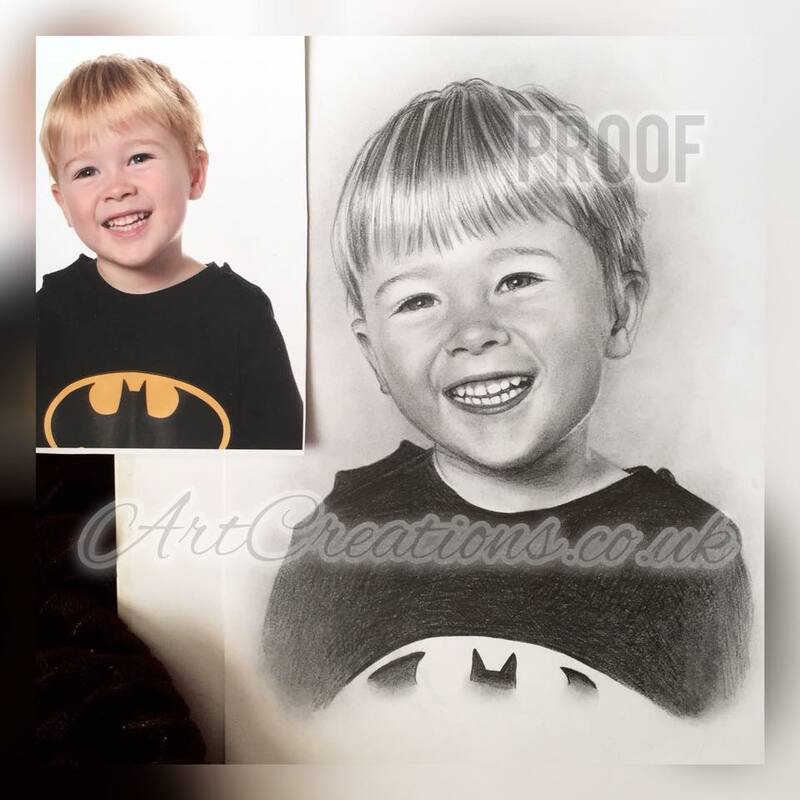 The great thing as well is that I can put together your different photographs to produce a group portrait that puts all your favourite photo's in one drawing together. 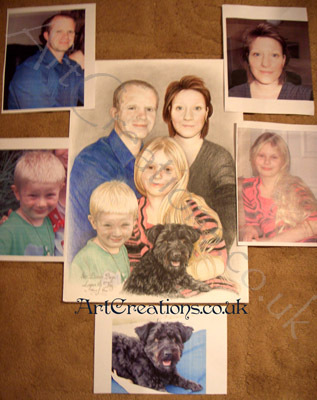 Perfect if you have no pictures of the family/friends/pets all together but DO have lots of seperate photo's! 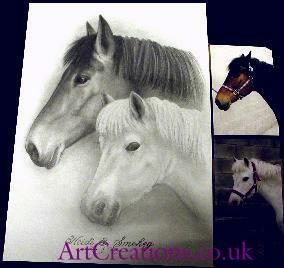 etc.. NOW YOU CAN HAVE THEM ALL TOGETHER! 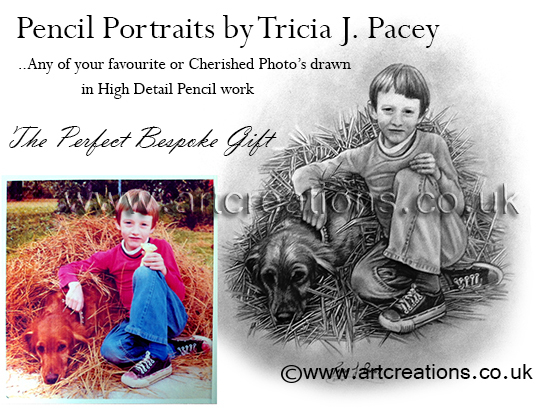 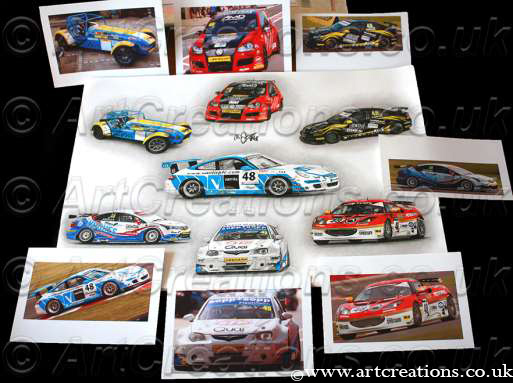 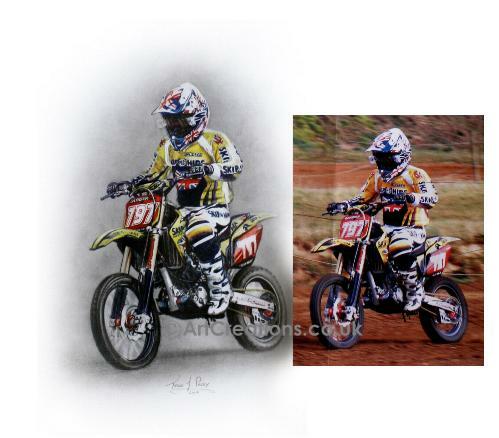 - These subjects produce Fantastic Portraits & make Superb Gifts. 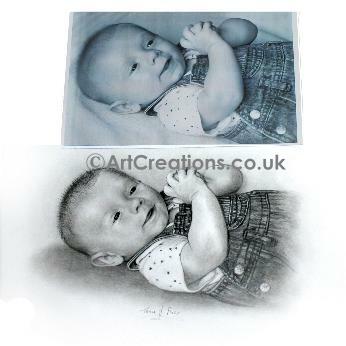 PORTRAIT - 11.5" x 8"
Cost Unframed = £75 One Subject Colour Drawn. 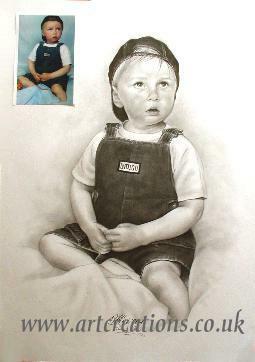 PORTRAIT - 16.5" x 11.5"
Cost Unframed = £110 One Subject Colour Drawn. 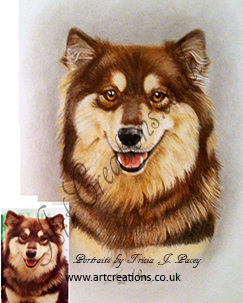 PORTRAIT - 23" x 16.5"
This is the Largest size available and is the 'A2' size Portrait. 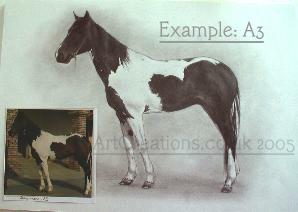 Cost Unframed = £130 One Subject Colour Drawn. 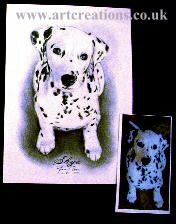 Please contact for P&P quote to your country. 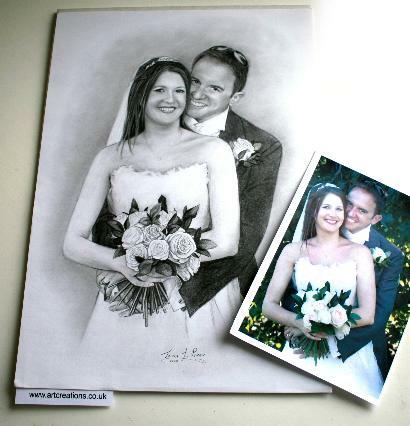 Portraits are usually completed in the Order in which they are received. 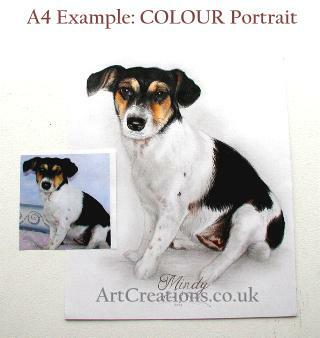 Similar to that of a Queue system & are usually completed within 7 - 29 days from receipt of your photograph/s.